The information provided below is meant to help you understand the role of your colorectal cancer biology treatment decisions, as well as the role of other tools used in determining your ability to receive chemotherapy or targeted therapy (precision medicine). Excluding skin cancers, colorectal cancer is the third most common cancer diagnosed in the United States, with 95,270 colon cancers and 39,220 rectal cancers estimated to occur in 2016 just in the United States (CA Cancer J Clin 2016; 66(1):7-30). 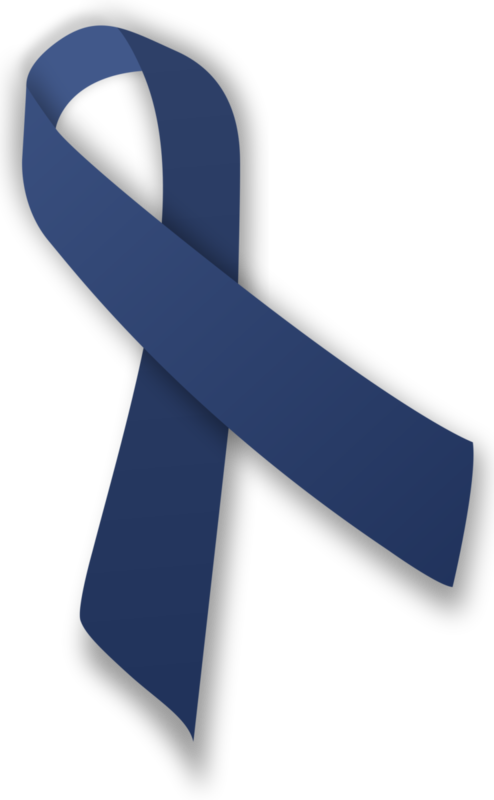 The chance of developing colorectal cancer from birth to death is 1 in 21 for men and 1 in 23 for women in the United States. Despite these seemingly high numbers of new patients being diagnosed each year, mortality is declining due to the combined benefit of early detection and more effective treatments. In many cases, screening with colonoscopy prevents colorectal cancer by finding and removing precancerous polyps before they turn into cancer. The 5-year survival for people with stage I colon cancer is approximately 92%, followed by stage II with 63% to 87%s survival, and stage III with 53% to 89%. Stage IV, or metastatic colorectal cancer or cancer that has spread to other parts of the body, has a 5-year survival rate of about 11%. The 5-year relative survival for people with rectal cancer are similar, 87%, 49%-80%, 58%-71%, and 12%, for stage I, II, III, and IV, respectively. Approximately 80% of the cases are caused by increasing age, sedentary lifestyle, low fiber diet, diets rich in red and processed meat, excessive alcohol intake, inflammatory bowel conditions (ulcerative colitis) and radiation exposure. The remainder 20% are caused by genetic causes, including familial adenomatous polyposis (FAP) and hereditary non-polyposis colon cancer (HNPCC). People with FAP inherit the APC gene mutation causing the development of numerous polyps and potentially cancer, and require regular screening with colonoscopy with removal of polyps or surgery prior to the development of cancer. People with HNPCC (Lynch syndrome) can develop not only cancer at a young age, but also other cancers (ovarian, pancreas, breast, biliary, endometrial, gastric, genitourinary and small bowel). Testing for HNPCC is recommended, especially in people over 70 years of age with colon cancer because it can affect the treatment choice. Surgery is usually a main component of the treatment for colorectal cancer and it can be done before or after radiation and chemotherapy. There are several types of surgery for colorectal cancer, and which type is best for you will depend on the stage or extent of the cancer and the goal of the surgery. Types of surgeries include: (removal of the polyps) and local excision of the tumor, colectomy (removal part of the colon), and diverting colostomy. You will need to discuss your individual case with your oncologic surgeon. Radiation therapy, or radiotherapy are commonly used in the treatment of colorectal cancer. The radiation oncologist will determine whether you will need to receive radiation for your cancer, as this depends on the cancer stage, your age and overall health status. This website is designed to address this part of your treatment and offer you personalized information about your treatment options that will yield the best survival and quality of life. Vascular endothelial growth factor (VEGF) is a protein normally made by tumor cells and it is responsible for increasing the blood flow to the tumor in order to facilitate the growth of the tumor. Epidermal growth factor receptor (EGFR) is a protein on the surface of cancer cells in high amounts and helps them grow. EGFR is generally present in 49-82% of colorectal cancer. KRAS mutation is a mutated gene that can be found in 35-40% of metastatic colon cancer patients. Having this mutation will inform your physician that certain therapies, such as precision medicines, will not be beneficial. BRAF mutation – Similar to Kras mutations, BRAF mutations places the patient at risk of having a poor treatment response and potentially worse outcomes. This mutation is present in 5% to 10% of all colorectal cancers.